At the beginning of the summer, I asked my husband and son for three [realistic] things each they’d really like to do this summer. Adding three of my own wishes as well as a couple of this became the core of our bucket list. While it was in the back of my mind when we were planning, it was then kind of forgotten in the busyness of everyday, spontaneous trips and unexpected events popping up. Halfway through August, we were feeling a little down that with Labour Day fast approaching, summer was almost over. It felt that it had gone by too fast without accomplishing all that we wanted to do. I pulled out our list – “What could we do in the final couple of weeks before school started, so that we would feel better about how we spent our summer?” To our utter surprise and delight, most of our list was done. We had done a lot of what we’d wanted. What was left could be done with one last weekend trip. So with the three day long weekend ahead of us, we headed north to Parksville/Qualicum. A swim in the ocean had been on my list and though we’d spent a lot of time at the beach and wading, I hadn’t gone swimming. The warm waters of Parksville, as the afternoon tide came in over the warm sands was perfect for a refreshing swim after our trip up. One of my son’s summer wishes was to stay at Qualicum Bay Resort – it has a bulldozer in the playground which for my construction loving son is the ultimate. The fact there’s also always lots of kids his age, a zipline and is close to the beach makes it one of his favourite places to stay, so when it had a site open it was no question where we’d stay. 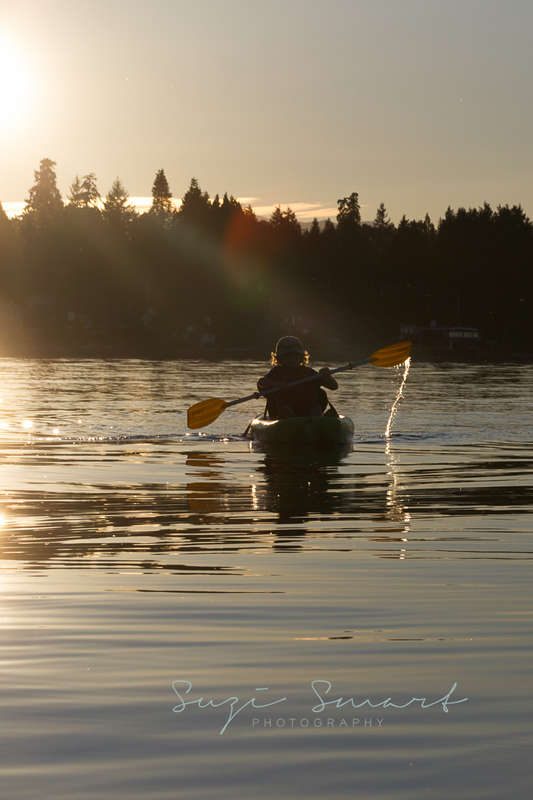 Thanks to the wonderful crew at Outsider Adventures, we had a sunset kayak (check) then kayaked the next morning across to Denman Island and back. Knowing our son’s kayak ability on the open sea, opens up a world of adventures for next summer. I’m thinking that we’ll be spending a lot of time on the water next year. On our last afternoon in the area, with temperatures in the mid-thirties, we explored the amazingly cool Horne Lake Caves (check). 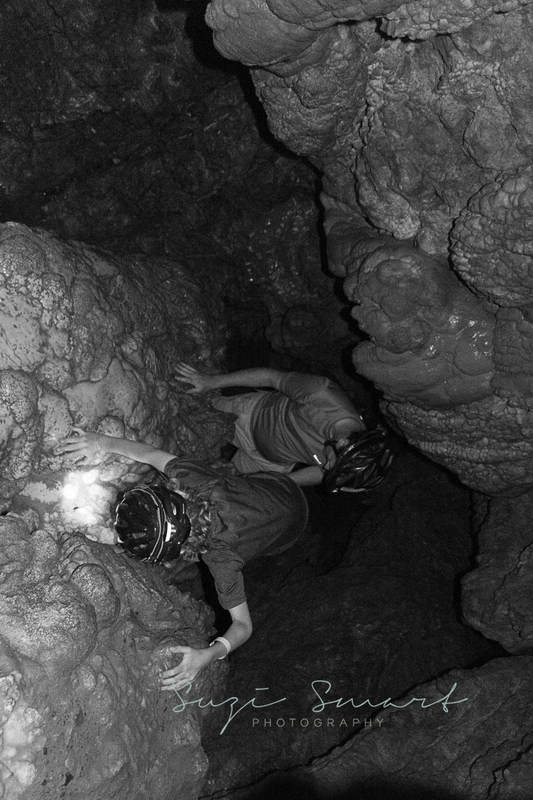 As we had no idea whether our son would enjoy caving or be claustrophobic within the dark walls of the caves, we opted for the self-guided tour this year. However, his utter amazement and fascination with of the wonders of the dark, has me looking at some of the more intensive guided tours for next year. With back to school, back to work and with launching Suzi Smart Photography to the Victoria area, it’s sure to be a busy fall. But we’re sure to balance the work with more adventures as we’re looking to explore more of the area during our first autumn on the Island. We’ve decided that we’ll definitely make fall bucket list, for whether we used it consciously or not, our summer list worked. We now look back at this summer with a smile that we spent it as we wanted rather than it just passing by. What is your favourite fall activity? Do you have a bucket list? How do you decide what makes the list?